The finalists in each category will be invited to attend the ALL DIGITAL Summit 2017 in Barcelona, Spain, on 4-5 October 2017. All finalists will be entitled to free accommodation – 1 person for 2 nights. Award winners (one in each category) will also have their travel expenses (up to 300 EU) covered by ALL DIGITAL. The Awards ceremony will be held in Barcelona, Spain on the evening of 4 October 2017. All finalists will receive prizes and will have the opportunity to present their initiatives to an audience of 100 + participants. The jury will assess the nominations against a set of criteria and choose the three finalists in each category. The winners for the three categories (Best digital changemaker, Best digital resource, Best cooperation project) will be selected by the jury. 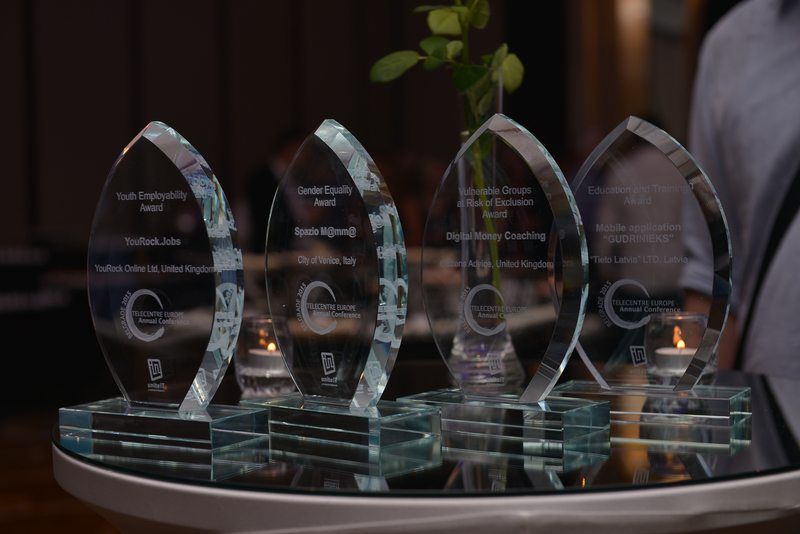 Previously known as Telecentre-Europe Awards and Digital Inclusion Awards, they were given to organisations and individuals working in the field of digital inclusion to acknowledge their work. Good practices were collected and nominations were presented on the Unite-IT e-inclusion network portal, which is the focal point of information, news, resources, database of practices and policies in Europe with specific focus on ICT for inclusion and social cohesion.